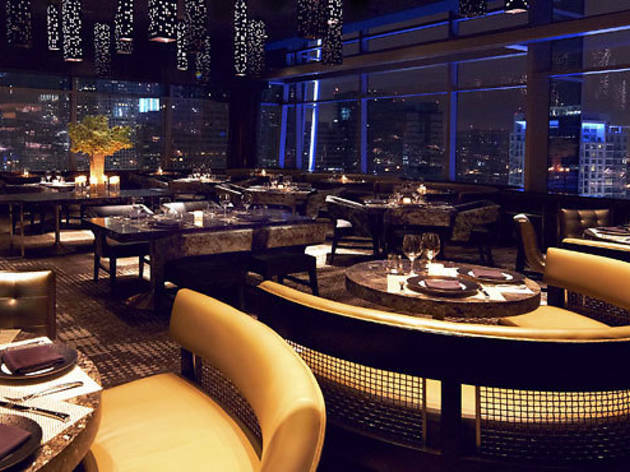 Kathryn Russell WP24 is Wolfgang Puck's restaurant at the Ritz-Carlton, which overlooks downtown. 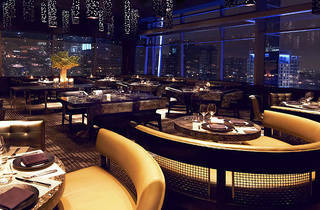 Dress up and head downtown for an elegant evening at WP24 at the Ritz-Carlton Los Angeles. The hotel's signature restaurant, overseen by Wolfgang Puck, will offer a decadent four-course tasting menu with a champagne toast for id="mce_marker"10. Options include "Chow Fueng" rolls with braised Kobe beef short rib, crispy daikon radish cake, Singapore-style chili prawns, live Maine lobster with spicy Szechuan chilies, Maine black cod with Chinese Ginseng honey, roasted duckling "Peking style," twice-cooked garlic-glazed pork belly, "Szechuan-style" steak au poivre and grilled lamb chops with Korean gochu jang chili.